Coronary Artery Disease/Coronary Heart Disease, General Cardiology, Heart Attack / Myocardial Infarction. ​Associate Professor Philip Wong is a Senior Consultant with the Department of Cardiology and Deputy Director of the National Heart Research Institute Singapore at the National Heart Centre Singapore. 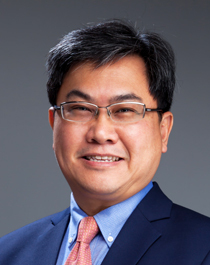 His research interest include Health Technology, Digital Health and Medical Devices, including innovation, pre-clinical development and commercialization. He has 14 filed patents and has succesfully spinned off two companies from within the Academic Centre. NMRC overseas research fellowship (Basic Science): Cardiovascular Research Centre, MGH/Harvard University. Bone marrow stem cell research in small animal model. Fibroatheroma identification in Intravascular Optical Coherence Tomography images using deep features. Mengdi Xu, Jun Cheng, Annan Li, Lee JA, Wong DWK, Taruya A, Tanaka A, Foin N, Wong P. Conf Proc IEEE Eng Med Biol Soc. 2017 Jul;2017:1501-1504. doi: 10.1109/EMBC.2017.8037120. Mechanical behavior of polymer-based vs. metallic-based bioresorbable stents. Ang HY, Huang YY, Lim ST, Wong P, Joner M, Foin N. J Thorac Dis. 2017 Aug;9(Suppl 9):S923-S934. doi: 10.21037/jtd.2017.06.30. Review. Stent malapposition and the risk of stent thrombosis: mechanistic insights from an in vitro model. Foin N, Lu S, Ng J, Bulluck H, Hausenloy DJ, Wong PE, Virmani R, Joner M. EuroIntervention. 2017 Oct 13;13(9):e1096-e1098. doi: 10.4244/EIJ-D-17-00381. Bioresorbable stents: Current and upcoming bioresorbable technologies. Ang HY, Bulluck H, Wong P, Venkatraman SS, Huang Y, Foin N. Int J Cardiol. 2017 Feb 1;228:931-939. doi: 10.1016/j.ijcard.2016.11.258. Epub 2016 Nov 12. Review. Current bioresorbable scaffold technologies for treatment of coronary artery diseases: Do polymer and Magnesium platforms differ? Foin N, Ng J, Wong P, Di Mario C. Int J Cardiol. 2016 Nov 15;223:526-528. doi: 10.1016/j.ijcard.2016.08.117. Epub 2016 Aug 7. Reply: Meta-Analysis of the Index of Microvascular Resistance in Acute STEMI Using Incomplete Data. Bulluck H, Foin N, Cabrera-Fuentes HA, Yeo KK, Wong AS, Fam JM, Wong PE, Tan JW, Low AF, Hausenloy DJ. JACC Cardiovasc Interv. 2017 Feb 27;10(4):422. doi: 10.1016/j.jcin.2017.01.003. No abstract available. Index of Microvascular Resistance and Microvascular Obstruction in Patients With Acute Myocardial Infarction. Bulluck H, Foin N, Carbrera-Fuentes HA, Yeo KK, Wong AS, Fam JM, Wong P, Tan JW, Low AF, Hausenloy DJ. JACC Cardiovasc Interv. (JIF 7.42) 2016 Oct 24;9(20):2172-2174. doi: 10.1016/j.jcin.2016.08.018. Bioresorbable vascular scaffold radial expansion and conformation compared to a metallic platform: insights from in vitro expansion in a coronary artery lesion model. Foin N, Lee R, Bourantas C, Mattesini A, Soh N, Lim JE, Torii R, Ng J, Liang LH, Caiazzo G, Fabris E, Kilic D, Onuma Y, Low AF, Nijjer S, Sen S, Petraco R, Al Lamee R, Davies JE, Di Mario C, Wong P, Serruys PW. EuroIntervention. (JIF 3.86) 2016 Sep 18;12(7):834-44. doi: 10.4244/EIJV12I7A138. Angiographic, optical coherence tomography and histology findings from combination of a drugcoated balloon with an everolimus-eluting stent in a porcine model. Ong PJ, Kubo T, Watson TJ, Seah AS, Wong P, Akasaka T. Int J Cardiol. (JIF 4.09) 2016 Nov 15;223:665-668. doi: 10.1016/j.ijcard.2016.08.268. Early coverage of drug-eluting stents analysed by optical coherence tomography: evidence of the impact of stent apposition and strut characteristics on the neointimal healing process. Lee R, Foin N, Ng J, Allen J, Soh N, Ang I, Shim W, Torii R, Wong P. EuroIntervention. (JIF 3.86) 2016 Aug 5;12(5):e605-14. doi: 10.4244/EIJV12I5A100. Bioresorbable Scaffold Thrombosis: Why BRS Size Matters. Foin N, Mattesini A, Wong P, Di Mario C. J Am Coll Cardiol. (JIF 17.7) 2016 Aug 2;68(5):571-2. doi: 10.1016/j.jacc.2016.03.603. Over-expansion capacity and stent design model: An update with contemporary DES platforms. Ng J, Foin N, Ang HY, Fam JM, Sen S, Nijjer S, Petraco R, Di Mario C, Davies J, Wong P. Int J Cardiol. (JIF 4.09) 2016 Oct 15;221:171-9. doi: 10.1016/j.ijcard.2016.06.097. Molecular pathogenesis of Marfan syndrome. Ramachandra CJ, Mehta A, Guo KW, Wong P, Tan JL, Shim W. Int J Cardiol. (JIF 4.09) 2015 May 6;187:585-591. doi: 10.1016/j.ijcard.2015.03.423. Epub 2015 Mar 31. Electrotonic coupled metabolic purification of chick cardiomyocytes. Shim W, Yu H, Ja KP, Parasuram M, Lim KP, Wong P. Methods Mol Biol. 2015;1299:167-75. doi: 10.1007/978-1-4939-2572-8_14. Intravascular Assessment of Arterial Disease Using Compensated OCT in Comparison With Histology. Lee R, Foin N, Otsuka F, Wong P, Mari JM, Joner M, Girard MJ, Virmani R. JACC Cardiovasc Imaging. (7.81) 2015 Mar 12. pii: S1936-878X(15)00035-2. doi: 10.1016/j.jcmg.2015.01.012. Evaluation of the cardiotoxicity of mitragynine and its analogues using human induced pluripotent stem cell-derived cardiomyocytes. Lu J, Wei H, Wu J, Jamil MF, Tan ML, Adenan M, Wong P, Shim W. PLoS One. (JIF 3.06) 2014 Dec 23;9(12):e115648. doi: 10.1371/journal.pone.0115648 eCollection 2014. Impact of stent strut design in metallic stents and biodegradable scaffolds. Foin N, Lee RD, Torii R, Guitierrez-Chico JL, Mattesini A, Nijjer S, Sen S, Petraco R, Davies JE, Di Mario C, Joner M, Virmani R, Wong P. Int J Cardiol. (JIF 4.09) 2014 Oct 7;177(3):800-808. doi: 10.1016/j.ijcard.2014.09.143. Biodegradable vascular scaffold: is optimal expansion the key to minimising flow disturbances and risk of adverse events? Foin N, Torii R, Mattesini A, Wong P, Di Mario C. EuroIntervention. (JIF 3.86) 2014 Nov 25. pii: 20141108e. doi: 10.4244/EIJY14M11_09. Modifying effect of dual antiplatelet therapy on incidence of stent thrombosis according to implanted drug-eluting stent type. Camenzind E, Boersma E, Wijns W, Mauri L, Rademaker-Havinga T, Ordoubadi FF, Suttorp MJ, Al Kurdi M, Steg PG; PROTECT Steering Committee and Investigators. Collaborators (239) Wong P. Eur Heart J. (JIF 15.2) 2014 Aug 1;35(29):1932-48. doi: 10.1093/eurheartj/ehu084. Epub 2014 Mar 13. Electrophysiology of human cardiac atrial and ventricular telocytes. Sheng J, Shim W, Lu J, Lim SY, Ong BH, Lim TS, Liew R, Chua YL, Wong P. J Cell Mol Med. (JIF 4.94) 2014 Feb;18(2):355-62. doi: 10.1111/jcmm.12240. Hydrogen sulphide suppresses human atrial fibroblast proliferation and transformation to myofibroblasts. Sheng J, Shim W, Wei H, Lim SY, Liew R, Lim TS, Ong BH, Chua YL, Wong P. J Cell Mol Med. (JIF 4.94) 2013 Oct;17(10):1345-54. doi: 10.1111/jcmm.12114. Epub 2013 Aug 15. Preliminary experience with a novel TITAN-V stent for ostial coronary lesions in an experimental animal model. Ong PJ, Khurana R, Hou PW, Lukito AA, Ho HH. Int J Cardiol. 2013 Jul 1;166(3):e53-5. doi: 10.1016/j.ijcard.2013.01.172. Epub 2013 Mar 7. Critical path in cardiac stem cell therapy: an update on cell delivery. Shim W, Mehta A, Wong P, Chua T, Koh TH. Cytotherapy. 2013 Apr;15(4):399-415. doi: 10.1016/j.jcyt.2012.11.003. Epub 2013 Jan 5. Identification and characterization of calcium sparks in cardiomyocytes derived from human induced pluripotent stem cells. Zhang GQ, Wei H, Lu J, Wong P, Shim W. PLoS One. 2013;8(2):e55266. doi: 10.1371/journal.pone.0055266. Epub 2013 Feb 7. Generation of patient-specific induced pluripotent stem cell-derived cardiomyocytes as a cellular model of arrhythmogenic right ventricular cardiomyopathy. (Journal Impact Factor : 14.1) Ma D, Wei H, Lu J, Ho S, Zhang G, Sun X, Oh Y, Tan SH, Ng ML, Shim W, Wong P, Liew R. Eur Heart J. 2013 Apr;34(15):1122-33. doi: 10.1093/eurheartj/ehs226. Epub 2012 Jul 13. Pharmacoelectrophysiology of viral-free induced pluripotent stem cell-derived human cardiomyocytes. Mehta A, Chung Y, Sequiera GL, Wong P, Liew R, Shim W. Toxicol Sci. 2013 Feb;131(2):458-69. doi: 10.1093/toxsci/kfs309. Epub 2012 Oct 22. Hydrogen sulfide suppresses outward rectifier potassium currents in human pluripotent stem cellderived cardiomyocytes. Wei H, Zhang G, Qiu S, Lu J, Sheng J, Manasi, Tan G, Wong P, Gan SU, Shim W. PLoS One. 2012;7(11):e50641. doi: 10.1371/journal.pone.0050641. Epub 2012 Nov 30. Stent thrombosis and major clinical events at 3 years after zotarolimus-eluting or sirolimus-eluting coronary stent implantation: a randomised, multicentre, open-label, controlled trial. Camenzind E, Wijns W, Mauri L, Kurowski V, Parikh K, Gao R, Bode C, Greenwood JP, Boersma E, Vranckx P, McFadden E, Serruys PW, O'Neil WW, Jorissen B, Van Leeuwen F, Steg PG; PROTECT Steering Committee and Investigators ( Wong P ). Lancet. 2012 Oct 20;380(9851):1396-405. doi: 10.1016/S0140-6736(12)61336-1. Epub 2012 Aug 27. Hemodynamic Contribution of Stem Cell Scaffolding in Acute Injured Myocardium. Qian L, Shim W, Gu Y, Shirhan M, Lim KP, Tan LP, Lim CH, Sin YK, Wong P. Tissue Eng Part A. 2012 May 18. [Epub ahead of print]. Pharmacological response of human cardiomyocytes derived from virus-free induced pluripotent stem cells. Mehta A, Chung YY, Ng A, Iskandar F, Atan S, Wei H, Dusting G, Sun W, Wong P, Shim W. Cardiovasc Res. 2011 Sep 1;91(4):577-86. Epub 2011 May 12. G-CSF administration in acute myocardial infarction: what is the best timing? Reply. Shim W, Mehta A, Lim CH, Chua T, Wong P. Cardiovasc Res. 2011 Apr 19. [Epub ahead of print] No abstract available. Differential effect of myocardial matrix and integrins on cardiac differentiation of human mesenchymal stem cells. Tan G, Shim W, Gu Y, Qian L, Chung YY, Lim SY, Yong P, Sim E, Wong P. Differentiation. 2010 Apr-Jun;79(4-5):260-71. Epub 2010 Mar 21. Acute coronary syndrome: from epidemiology to treatment. Lee CH, Wong P. (Guest Editor) Ann Acad Med Singapore. 2010 Mar;39(3):161-2. Complete atrioventricular block complicating acute anterior myocardial infarction can be reversed with acute coronary angioplasty. Ho KW, Koh TH, Wong P, Wong SL, Lim YT, Lim ST, Hsu LF. Ann Acad Med Singapore. 2010 Mar;39(3):254-7. Current trends in diagnostic biomarkers of acute coronary syndrome. Moe KT, Wong P. Ann Acad Med Singapore. 2010 Mar;39(3):210-5. Rationale and design of the Patient Related OuTcomes with Endeavor versus Cypher stenting Trial (PROTECT): randomized controlled trial comparing the incidence of stent thrombosis and clinical events after sirolimus or zotarolimus drug-eluting stent implantation. Camenzind E, Wijns W, Mauri L, Boersma E, Parikh K, Kurowski V, Gao R, Bode C, Greenwood JP, Gershlick A, O'Neill W, Serruys PW, Jorissen B, Steg PG; PROTECT Steering Committee and Investigators. Collaborators (216) Wong P Am Heart J. 2009 Dec;158(6):902-909.e5. Human bone marrow-derived adult stem cells for post-myocardial infarction cardiac repair: current status and future directions. Wei HM, Wong P, Hsu LF, Shim W. Singapore Med J. 2009 Oct;50(10):935-42. Myoblast transplantation for cardiac repair: from automyoblast to allomyoblast transplantation. Guo C, Haider HKh, Wang C, Tan RS, Shim WS, Wong P, Sim EK. Ann Thorac Surg. 2008 Dec;86(6):1841-8. Clinical features and outcome of emergency percutaneous intervention of left main coronary artery occlusion in acute myocardial infarction. Tang HC, Wong A, Wong P, Chua TS, Koh TH, Lim ST. Singapore Med J 2007; 48(12):1122. Myoblast-based cardiac repair: xenomyoblast versus allomyoblast transplantation. Guo C, Haider HKh, Shim WS, Tan RS, Ye L, Jiang S, Law PK, Wong P, Sim EK. J Thorac Cardiovasc Surg. 2007 Nov;134(5):1332-9. Acute coronary syndrome is a common clinical presentation of in-stent restenosis. Walters DL, Harding SA, Walsh CR, Wong P, Pomerantsev E, Jang IK. Am J Cardiol 2002 Mar 1;89(5):491-4. Vascular Complications after Hemostatic Puncture Closure Device is not higher in Overweight patients. Wong P, Harding S, Oesterle SN, Hull M, Jang IK. J Invasive Cardiol 2001 Sep;13(9):623-5. Stenting in Non-Stress/Benestent lesions. Wong P, KW Lau, YL Lim, SN Oesterle. Catheter Cardiovasc Interv 2000 Oct;51(2):223-33. Coronary subclavian steal syndrome: a rare cause of acute myocardial infarction. Tan JW, Johan BA, Cheah FK, Wong P. Singapore Med J. 2007 Jan;48(1):e5-8. Electrocardiographical case. An elderly lady with chest pain. Isolated posterior myocardial infarct (MI). Chiam P, Chuah SC, Wong P, Teo WS. Singapore Med J. 2006 Feb;47(2):166-9.